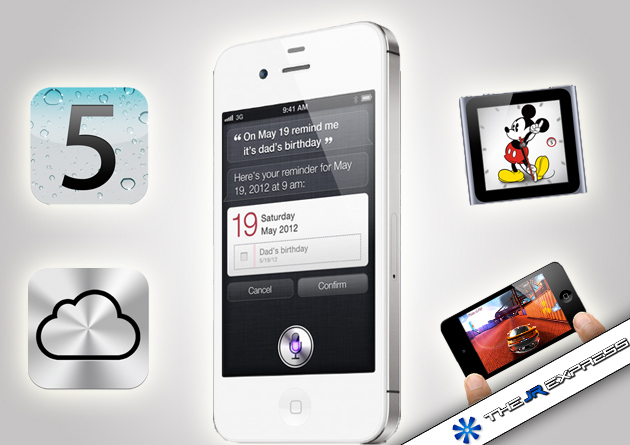 iPhone 4S, iOS 5, iCloud & iPods: What Has Been Announced at “Let’s Talk iPhone” ? On March 2nd 2011, Apple launched the iPad 2. On October 4th, at the “Let’s Talk iPhone” Conference, Apple launched the iPhone 4S while everybody was expecting an iPhone 5. However, before presenting the iPhone 4S they talked about iOS 5, iCloud and iPods and I would like to share with you some features of the new operating system of Apple the iOS5, iCloud and some new features for both the iPod Touch and the iPod Nano. 3- Reminders: The same reminder feature as the one available on multiple digital calendars. It is Location-aware, though, which will let you set a reminder according to your location like for example setting a reminder that would notify when you arrive at the supermarket. 4- Twitter Integration: Your Twitter account is integrated within your device so you can share anything on Twitter in one click without signing in. 6- Updated Camera App: You can now take a picture by double tapping on the home button or by pressing the Volume Up button. You can also lock exposure and focus in one tap and be helped by grid lines. 7- Game Center: You can now add profile pictures, get friend recommendations based on the games you play and people you already know and you can also discover new games without leaving the Game Center. 8- Safari Updates: With Safari Reader you can now read articles without any distraction meaning without ads and you can also save an article to read it later. Your reading list is synchronized on all your devices. They also added the tab browsing features to switch easily between webpages on different tabs. 9- Mail Updates: They added rich formatting, Indentation, moving addresses around and flagging them. 10- PC Free: Activate and set up your device wirelessly, you don’t need a PC anymore. You can even download updates wirelessly. The iOS 5 will be available starting October 12th, 2011. First of all, For those of you who don’t know what iCloud is or even what a cloud is in general: A cloud is a kind of virtual box/folder in which you can store whatever stuff/files you want and you can access this folder from any device as long as you are connected to the internet. We say that those files are in the cloud. iCloud offer this exact service for all the Apple devices. You have a limit of 5GB, but you can pay extra fees to get a bigger limit. Something really interesting about iCloud is that you will get with it an app called Find My Friends: you can quickly and easily have access to the location of your friends if they have agreed to of course. Now when someone is coming at your place and you want to give him directions you will directly know where he/she is. Don’t worry there are parental controls to avoid stalkers ! (You have also a similar app called Find My Phone used to locate your registered phone in case you lost it or someone stole it). Also with iCloud, for $24.99, you can get iTunes Match which will synchronize all the music you bought on iTunes with the music you bought elsewhere and put them all in your iTunes library. iCloud is free for Lion users and iOS 5 users and it will be available on October 12th 2011 while iTunes Match will be available by the end of the month only in the US as a first step. The Multi-touch display can now be displayed with big icons, instead of an array of four and you can easily swipe between them. They also introduced 16 new clock faces. New Prices: $129 for 8GB and $149 for 16GB. The iPod Touch will now be available in white. New Prices: 8GB is now $199, 32GB for $299, 64GB for $399. 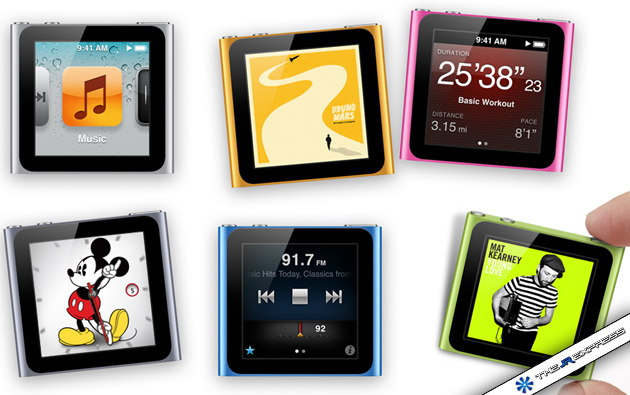 The new iPods will be available starting October 12th 2011. It is exactly the same as the iPhone 4 from the outside, there are only changes from the inside. • A5 Chip: 2x faster than the iPhone 4 chip (A4), with dual-core graphics, which is seven times faster than the iPhone4. • Improved Battery Life: Eight hours of 3G talk time, Six hours of browsing, Nine hours on WiFi, 10 hours of video and 40 hours of music. • Improved Antennas Reception: A lot of people were complaining about how bad the signal reception of the iPhone was in terms of calls specially. With the iPhone 4S this problem is solved: “Our engineering system has worked really hard at advancing the state of the art… it can now intelligently switch between the two antennas between transmit and receive.” said Phil Schiller, VP of worldwide product marketing. It will also offer a better quality of phone calls. • Improved Camera: 8 Megapixels with 73% more light. The camera is also faster: 1.1 second for the fist picture and 0.5 seconds for the second one. There is also an IR filter to get more accurate colors with five elements in the lens which will enable the camera to go down to f/2.4 (for those of you into photography). 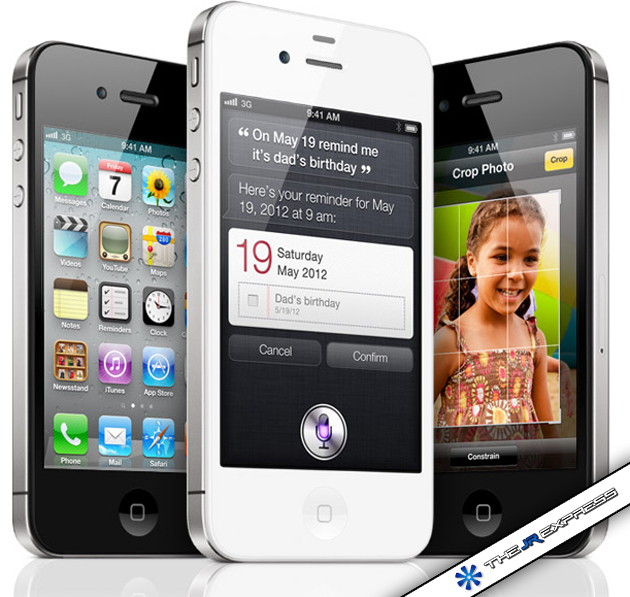 • Improved Network: While the iPhone 4 only support GSM networks, the iPhone 4S support both GSM and CDMA. • Improved Video Recording: You can now record HD movies at 1080p with image stabilization and temporal noise reduction. • AirPlay Mirroring: You can display your iPhone 4S screen on any bigger screen like your iPad or MacBook or any other screen if it is linked to one of your devices. “What time is it in Paris?”. Siri responds: “The time in Paris, France is 8:16pm.” Siri also brings up a live clock. “Find me a great Greek restaurant in Palo Alto.” Siri says that she found 14. “Give me directions to Hoover Tower.” Siri will show you directions on the Maps application. Siri will first be available in English, French and German. The iPhone 4 will now be available at $99 for the 8GB version, while you will get the 8GB 3GS for free. Of course this is with a carrier contract. The iPhone 4S will be available in the US, Canada, Australia, France, UK, Germany and Japan on October 14th. It will be available in 22 other countries on October 28th, then additional 70 countries by the end of the year. I should say that I was a bit disappointed by Apple’s announcements because most of the features presented as new features by Apple already exist in other phones and operating systems. 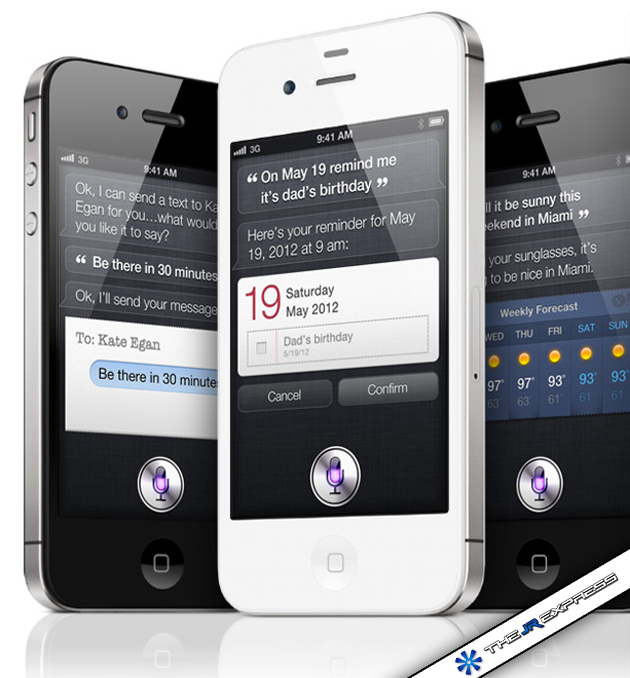 A part Siri which is really amazing and I think Artificial Intelligence is the new revolution in the phones industry the iPhone 4S don’t have enough added value comparing to competitors. However the biggest advantage iPhones have comparing to other phones, at least in my point of view, is their huge Appstore: Apple has the biggest Appstore comparing to all the competitors. I am afraid this will not last for a long time because the Android market is growing very fast and may soon reach a level where it will be able to break Apple’s advantage. Finally, Apple are really great in terms of Marketing they know how to attract you and to make you really want their product: They created an amazing brand image and atmosphere around Apple products. J’ai beaucoup aimé l’article jado!